The experiences that we create at Upswing are designed to stay in the hearts and minds of people who encounter them; whether it is an audience watching a performance, young people finding a fresh creative voice, the staff and residents in care homes discovering new potential in themselves or today’s most talented circus artists taking the next step in their careers. We push ourselves to take a leadership role in a unique art form because we believe it can influence real, positive change for everyone involved. 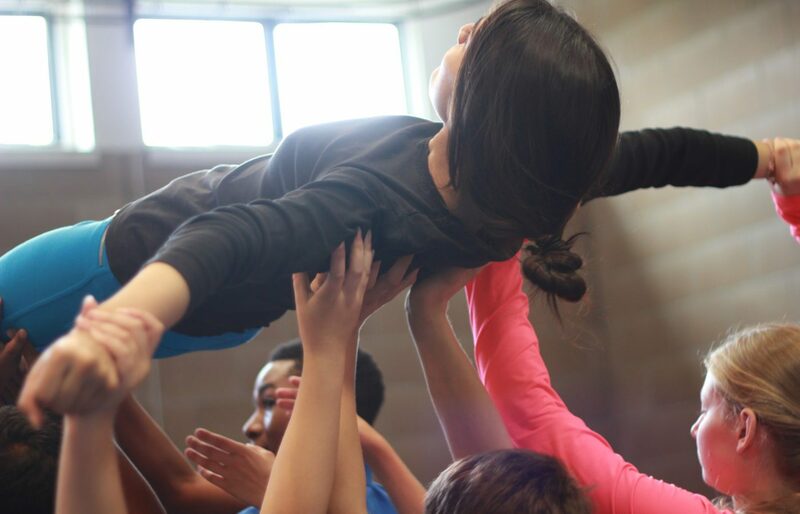 Upswing is a registered charity and we have yearly ambitious fundraising targets, which enable us to keep producing our performance works, education programmes and outreach projects. Achieving these goals requires investment, and we are looking for supporters who are excited by our vision and share our passion. Every donation plays a vital role and Upswing would not exist without your support. £10 – ensures that one participant can travel, at no cost to themselves, to take part and experience one of our high quality creative engagement projects. £1,000 – pays for one week of rehearsal space to devise a new Upswing production in state of the art dedicated circus space. As an individual you can support Upswing by making a donation via Golden Giving. Alternatively, you can volunteer your time. Email info@upswing.org.uk for more information about volunteering opportunities. Upswing is committed to developing mutually beneficial relationships with business partners. We create intelligent packages tailored to the unique needs and interests of your corporation. An association with Upswing aligns businesses who seek to inspire creativity and innovation, and significantly impacts on the lives of audiences and participants. Your investment, whether financial or in kind, helps us to produce high quality productions, support the next generation of artists and engage disadvantaged communities across the UK.